With the infantry horde done, the Goffs are getting armoured support to crush their enemies. 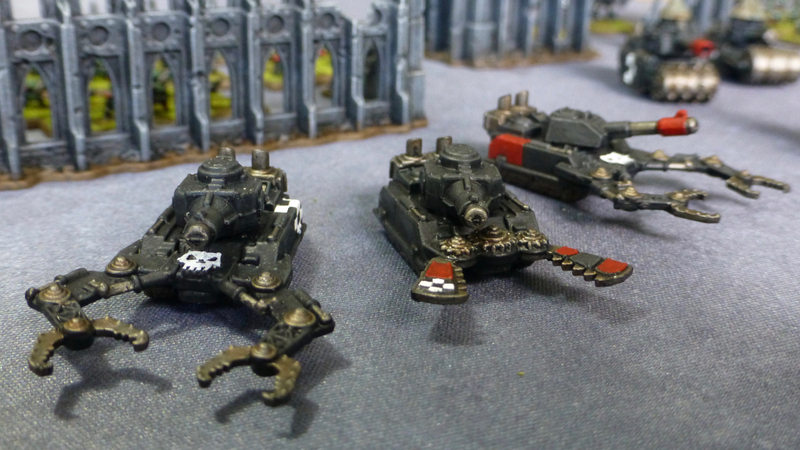 Fitted with deathrollers and grabbing claws, these vehicles complement the Goffs’ close combat capabilities, while also adding some serious mid-range firepower. I had two of the original Bonebreakas and a Gibletgrinda to hand, while the rest of the vehicles are built from the later plastic battlewagons that took all their design elements from those tanks. After fighting half way through a battle against the Imperial Guard Tactical Company I built previously, it became clear that this was lacking stopping power against more heavily armoured opposition. Therefore I commandeered a Baneblade Super Heavy Tank and attached it to the company. 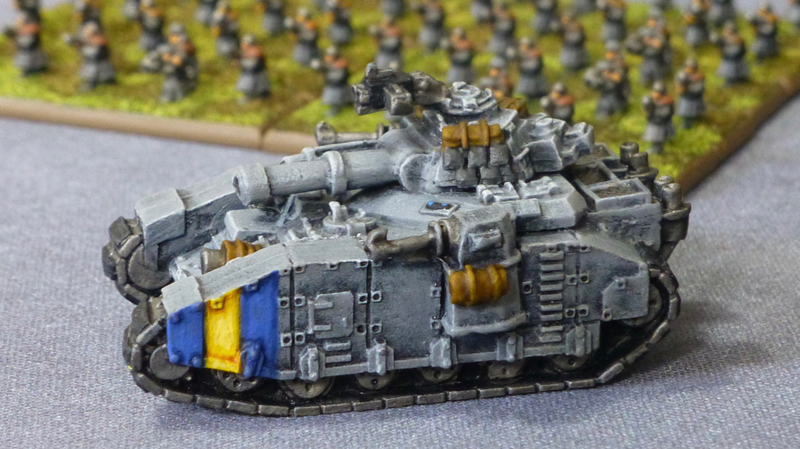 This entry was posted in Epic 40k and tagged Epic 40k, Goffs, Imperial Guard, Space Orks. Bookmark the permalink. Cheers, it is like Whacky Races with guns really. I might have to do the Evil Sunz Clan next, as I have a Skullhamma, Spleenrippaz and Gobsmashaz for them, which will be fun to field. I love the old epic orc stuff and it’s great seeing them look so good on your blog. Thank you! I will probably start on a second clan soon, seeing as I already have a tank company ready for the Imperial Guard to go up against. Yep, got to echo the other comments! Looks great! Glad you like them. I am satisfied how the Goff colour scheme turned out across the force, hopefully the other clans will be as effective. 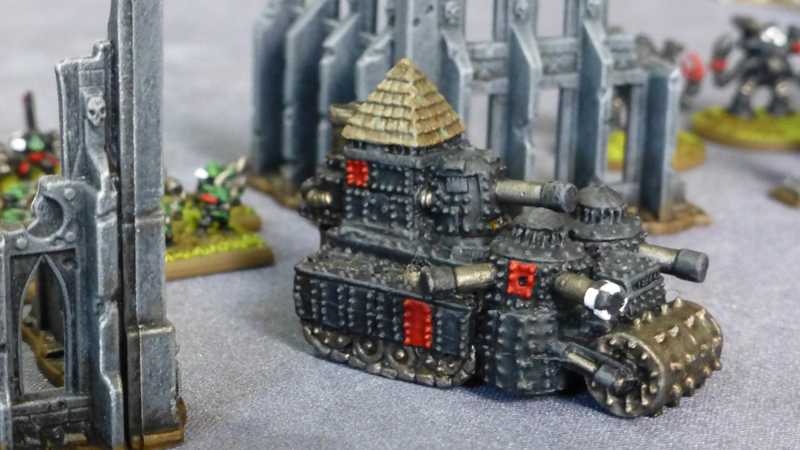 Nice beauties here, and the Ork tank reminds me of a Char B! Cheers, the tanks definitely hark back to the early days of real world tank design. I always loved all the Speed Freek craziness in Epic. If GW brought something like this out for 40K I would probably get back into the game. I know that there are a raft of new buggies but I’m thinking of the tanks like the Spleen Rippa and the Lung Bursta. I’m so impressed by the quality of the painting that you do at this tiny scale. Thank you! A stead and and good lighting are essential for painting 6mm scale, but in terms of techniques it is pretty simple and quick. 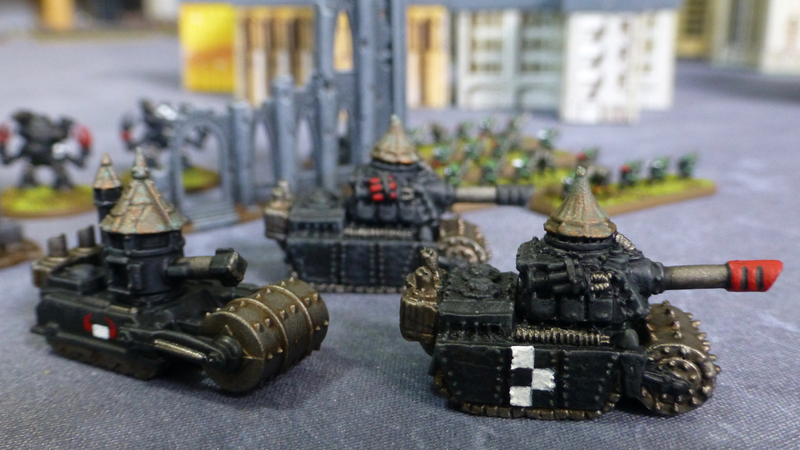 I would have much preferred to see more of those tanks in plastic, the new buggies are fun in a Formula Waaaagh! way but they don’t look right for warfare. Just put some of the Epic plastics together as Lung Burstaz and the original Spleen Rippaz and Gob Smashaz are waiting in the wings for the next clan I am going to tackle – Evil Sunz!